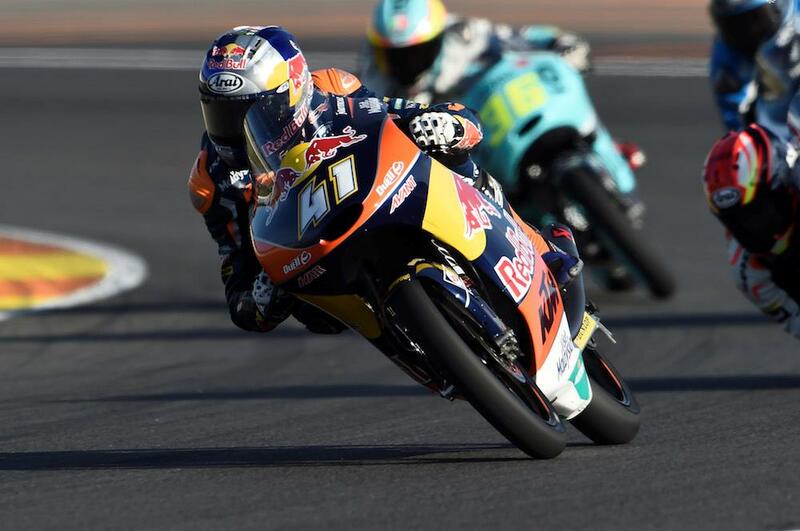 Brad Binder ended his dominant Moto3 season in style with a dramatic victory in the Moto3 race in Valencia. An issue in the early stages left the World Champion down in 22nd place but another masterclass from the South African saw him pick off the field to storm to his seventh win of the season. 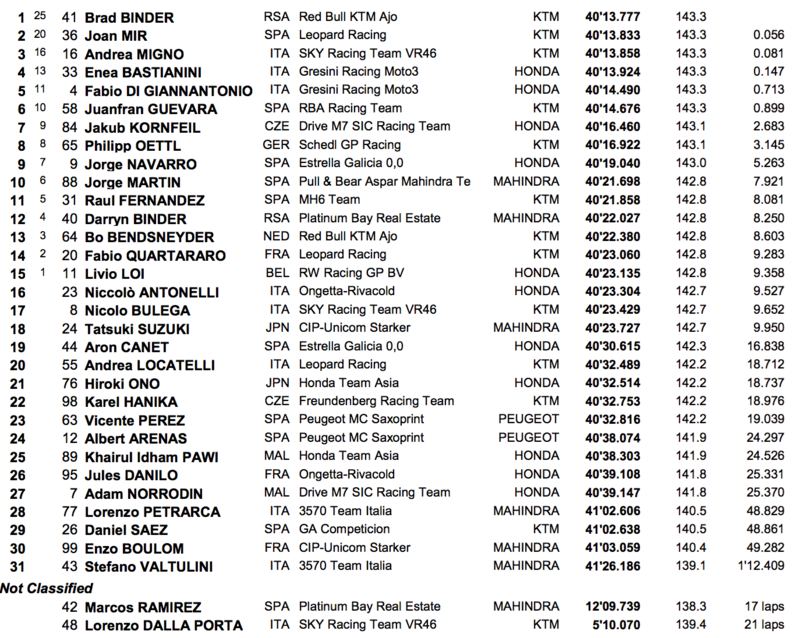 VR46 rider Andrea Migno and Joan Mir led most of the race with Gresini Racing’s Enea Bastianini and Fabio Di Giannantonio close in tow, but the drama started before things even got underway with pole man Aron Canet pulling off the grid with a technical problem. Mahindra rider Pecco Bagnaia was then wiped out of the race as Rodrigo crashed out at turn 13. Fastest lap after fastest lap saw Binder charge through the pack to be on the back of the leading group with ten laps to go. Visibly pushing, the Red Bull KTM Ajo Motorsport rider went wide several times as he fought with the riders at the front. A last lap push from Mir and Migno wasn’t enough to stop Binder wave goodbye to Moto3 in the best possible way. Mir’s second place was enough to grant him the rookie of the year title, pipping fifth-placed Di Giannantonio. Bastianini crossed the line third with Guevara completing the top six.